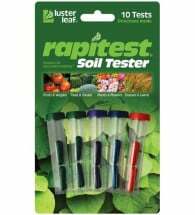 Instantly determine when to water with the Rapitest Moisture Meter. 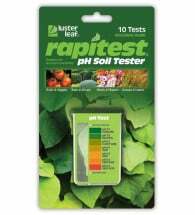 An invaluable tool for healthy plant growth. 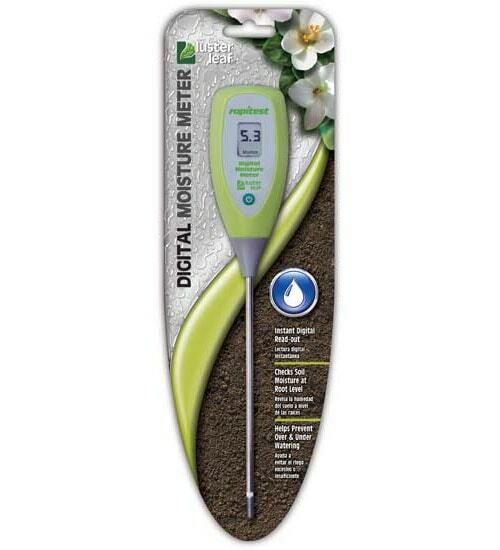 Eliminates over and under watering by measuring at the root level. 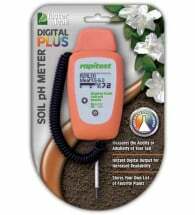 Includes a handy plant care booklet and watering guide for over 150 plants. NO batteries required. 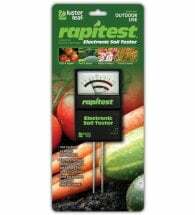 Step 1: Simply push the probe down, as vertically as possible to about 2/3 the depth of the container, and about 1/2 way between the edge of the pot and the stem of the plant. Do NOT push the probe too close to the stem. Step 2: A tiny amount of electrical energy will be generated by the moisture, which will cause the LCD screen to register moisture levels from 0.0 to 9.9.